What lies behind a jar of Nutella, the hazelnut spread with cocoa that for the past fifty years has accompanied the breakfast of millions of children in Europe, and that has now conquered the rest of the world? It all started soon after World War II in Alba, a small town in Northern Italy, in a pastry shop owned by Pietro Ferrero. His “Giandujot,” ancestor of Nutella, was at the time a solid block needing a knife to cut it. Then, in 1949 it became a cream called “Supercrema,” which could be spread on bread. Thanks to the ingenuity of Ferrero’s son Michele, who was already working as an industrialist in the confectionary sector, the product was reformulated in 1964. Michele chose a name that was easy to understand and remember in a great number of languages: Nutella. Since then a strategy focusing on quality and the brand’s relationship with consumers has turned Nutella into a lovemark with millions of fans on social networks across five continents. Sales of Nutella keep growing, and its production chain has even been the subject of a study by the Organisation for Economic Co-operation and Development (OECD) as an example of socially and environmentally aware globalization practices. 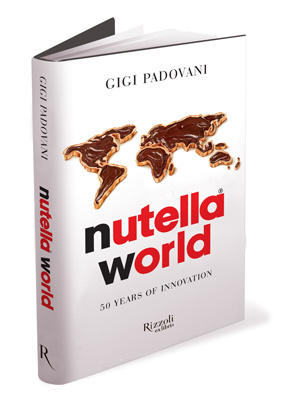 Fifty years after Nutella was first sold, the whole world celebrated its milestone anniversary with events that saw the participation of hundreds of thousands of people, and it was lauded by writers, artists, politicians, and athletes. This book traces the product’s history and evolution, as well as its rise to near-cult status and its celebration in pop culture, from movies to literature. The use of carefully selected raw materials, an organization that is sensitive to issues of quality and respect for the environment, and strong community values are at the heart of Ferrero. It is a company of entrepreneurs guided by a sound vision rooted in the “old economy”: no stock market, no acquisitions or mergers, and a strong connection to the territories where it operates. It’s a family-based culture that’s emblematic of Italian entrepreneurship, which knows how to look toward the world and the future without losing sight of its origins— an example of the “Made in Italy” style, and a lesson that excellence lasts forever.